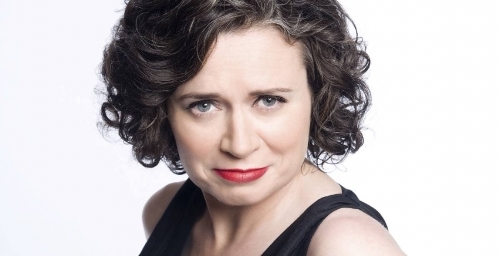 Judith Lucy is one of Australia’s most popular comedians. A best-selling author, her work in television and film and her sell-out national tours have made her a household name. A standup comedian for over 20 years, she sprang to national prominence in 1993 when she joined the cast of ABC TV’s The Late Show. Her television appearances since have been many and varied, but amazingly 2011’s Judith Lucy’s Spiritual Journey (ABC1) was her first solo TV project. It is Judith’s distinctive stage shows that set her apart – painfully honest, sharply observed and with a joke rate second to none. It is no surprise that Judith’s live audiences have grown every year since her first solo show in 1995. She has sold out countless theatrical runs in Australia and has taken her shows to Montreal, Edinburgh and London’s West End. The release of her first book The Lucy Family Alphabet (Penguin, 2008) introduced a whole new set of fans to Judith’s work. The book quickly became a best seller and cemented Judith as an author. She followed this up with the release of her second book, Drink, Smoke, Pass Out (Penguin, 2012). Over the years Judith has also turned her hand to acting, having appeared in the feature films Crackerjack and Bad Eggs. Most recently she scored a role as a racist publican in the hit Aussie production The Sapphires, which made it to the 2012 Cannes Film Festival. 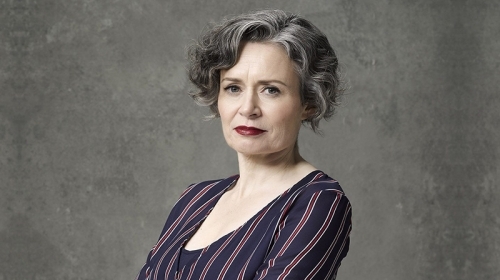 In 2015, Judith wrote, produced and starred in the series Judith Lucy Is All Woman. 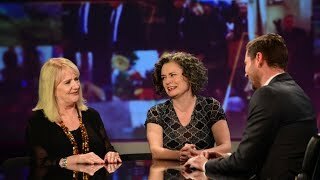 The show was a six part series for the ABC, where she looked at the role of women in modern Australia and whether they are better off than they were 50 years ago. The show was an incredible success, and has since been released as a DVD Box set. 2015 also saw Judith return to the stage with her first new solo show since 2012: Ask No Questions of the Moth, which went on to win Judith the prestigious 2015 Helpmann Award for Comedy. 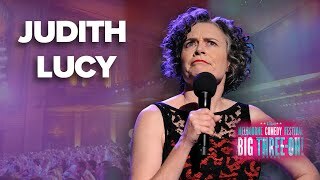 In 2016, Judith hosted the Just For Laughs All Star Gala at the Sydney Opera House, featuring international stars Margaret Cho, Julian Clary and Jim Norton, performed at the Melbourne International Comedy Festival 30th Anniversary Gala and continued to tour her Helpmann Award winning show around the country, and the world. But we have some exciting announcements in the pipeline. Watch this space!